When we were on our Disney cruise, the ventrilequist was awesome! He used this puppet in his show and he was so great that the and the boys had to make one as soon as they got home. 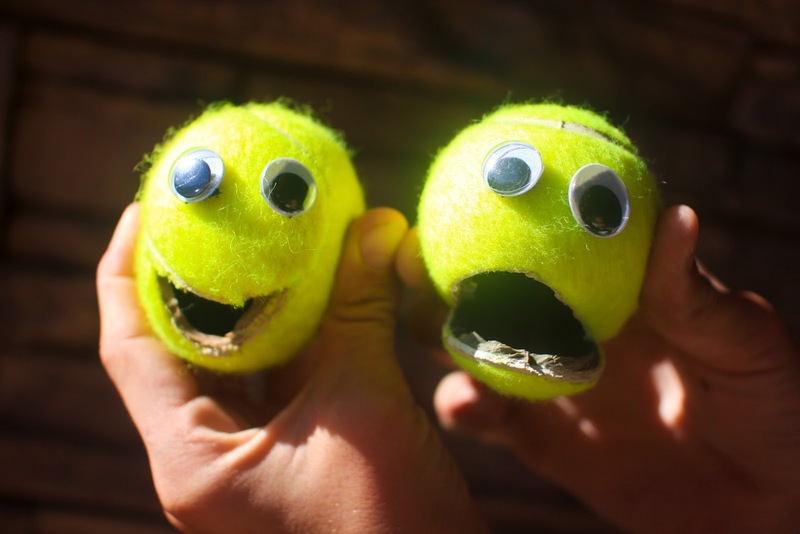 All you need is a tennis ball, a couple goggly eyes, a knife, some velcro dots, and about 2 minutes. When you squeeze the sides of his head, Mr. Tennis Ball's mouth opens! And the best part: You can turn that frown upside down by simply putting the velcroed eyes on his chin, and flipping him over! Ta Da! 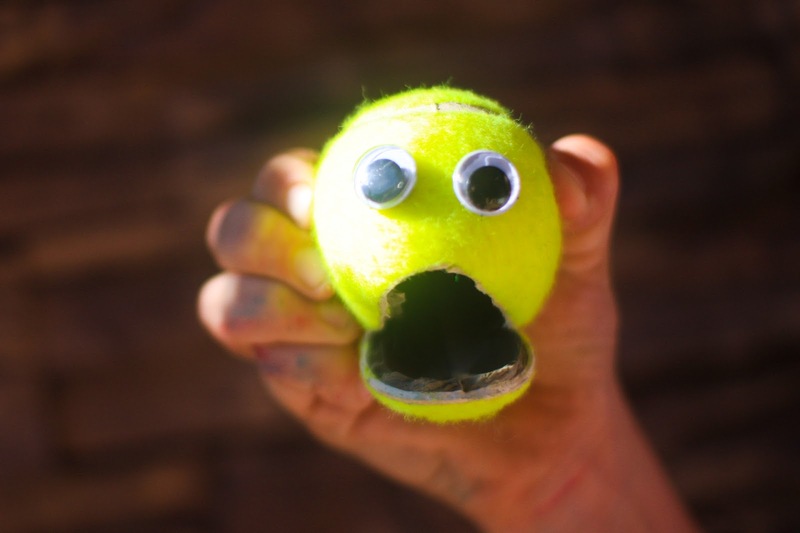 Mr. Tennis Ball is now happy! 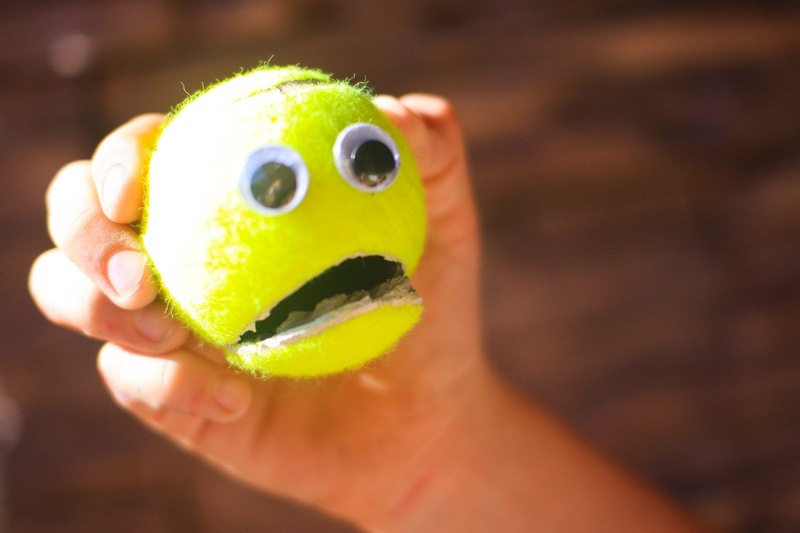 Now, go practice throwing your voice just like the pro! I featured your Easter Eggs on my site today! Love them! !